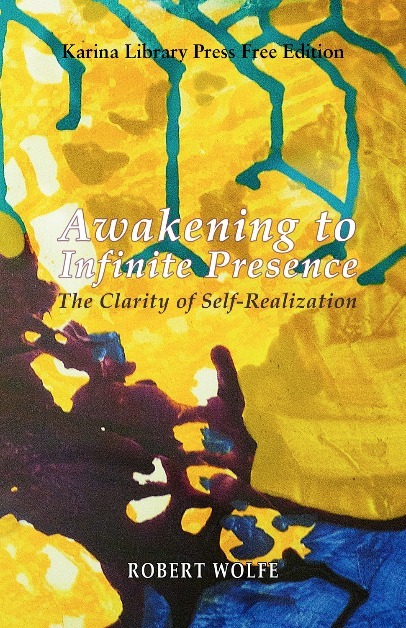 As with Living Nonduality (first published in 2009) and Abiding in Nondual Awareness (five years after), this is a continuing exploration in the territory of experiential nonduality, also known as spiritual awakening. Like the other volumes, many of these monographs were written in response to queries from seekers of Self-realization. There are included here several longer discussions, of imperative matters, which space didn’t permit before. Since each monograph was written independently of the others, there is unavoidably some repetition; but each was chosen for its variation of expression of the multiple facets in a profound paradox. The material was organized to be read consecutively, with earlier discourses amplifying later topics. Download free PDF edition of full book by Robert Wolfe. Also available on Amazon as paperback and kindle. are only the surface we see. your softest kiss, your sweet despair.